The Guyana Revenue Authority (GRA) intends to undertake a review of its existing legislation, with particular emphasis on those which are archaic and ambiguous. This is according to GRA’s Commissioner General, Godfrey Statia. 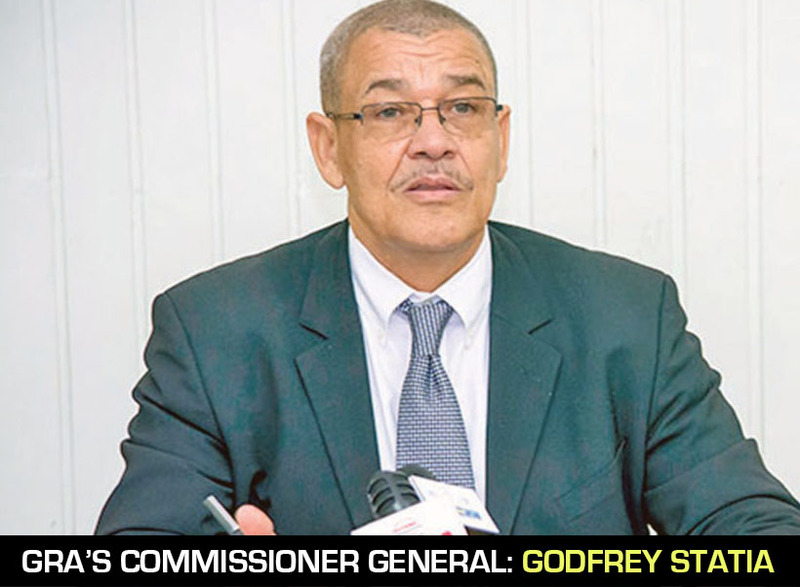 During an exclusive interview with the Guyana Standard on Friday last, Statia said that the intention to review the laws to increase fairness and transparency is part of the entity’s 2019-2021 strategic plan. He said that this plan will be unveiled no later than February 8. Statia noted, too, that legislative gaps must be addressed to realize coverage of emerging businesses and sectors, specifically the petroleum industry. Additionally, Statia said that relevant legislation must be enacted to safeguard against revenue leakages for both customs and domestic taxes. In this regard, he said GRA must pursue contemporaneous redress. The Tax Chief said that GRA will ensure that vital information with regard to the applicability of the revenue legislation is filtered to all taxpayers, tax consultants, accountants, and all other stakeholders. Turning his attention to the importance of improving international partnerships, the Commissioner General said that the agency will pursue meaningful engagements with other tax administrations to improve global tax compliance through protocols established under the Foreign Account Tax Compliance Act (FATCA), Exchange of Information (EOI) Act, and the Common Reporting Standard (CRS). He said that GRA will also engage international bodies such as the Organization for Economic Co-operation and Development (OECD), World Customs Organization (WCO) and the World Trade Organization (WTO). Further to this, Statia said that GRA will be embarking on fostering a societal culture of compliance through the formulation of a more comprehensive programme which would be inclusive of taxpayer education and strengthening of its debt management and litigation capacity. He said that the agency will also be adopting risk-based approaches in managing compliance and the associated programmes. He said that in an effort to increase voluntary compliance, the agency will be simplifying its filing, registration and reporting processes.